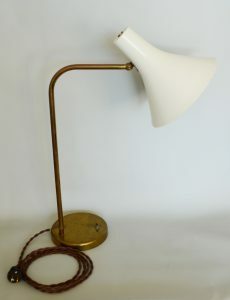 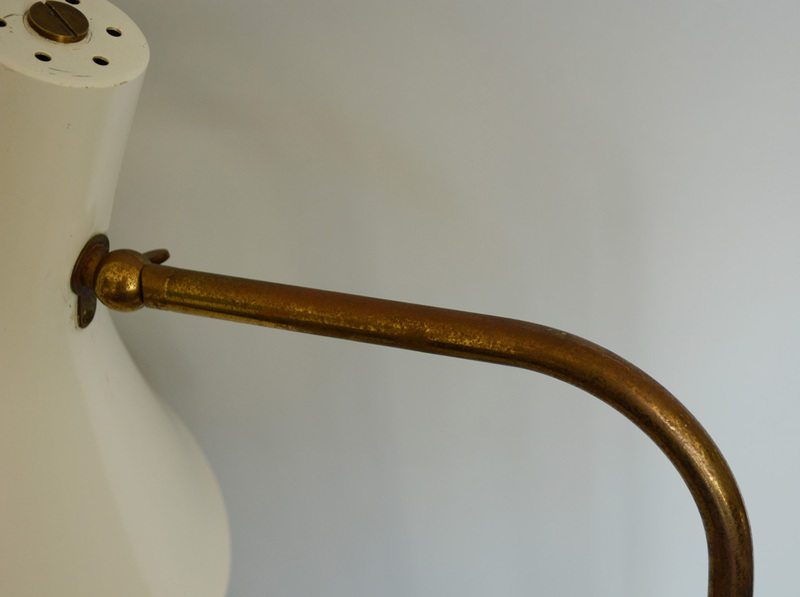 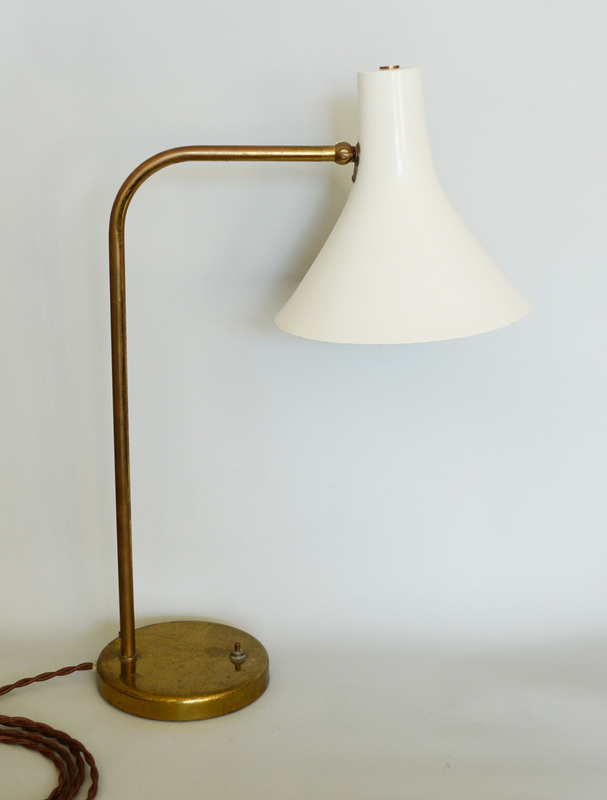 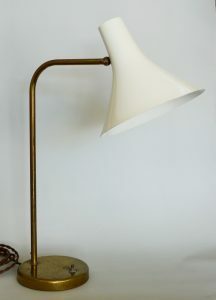 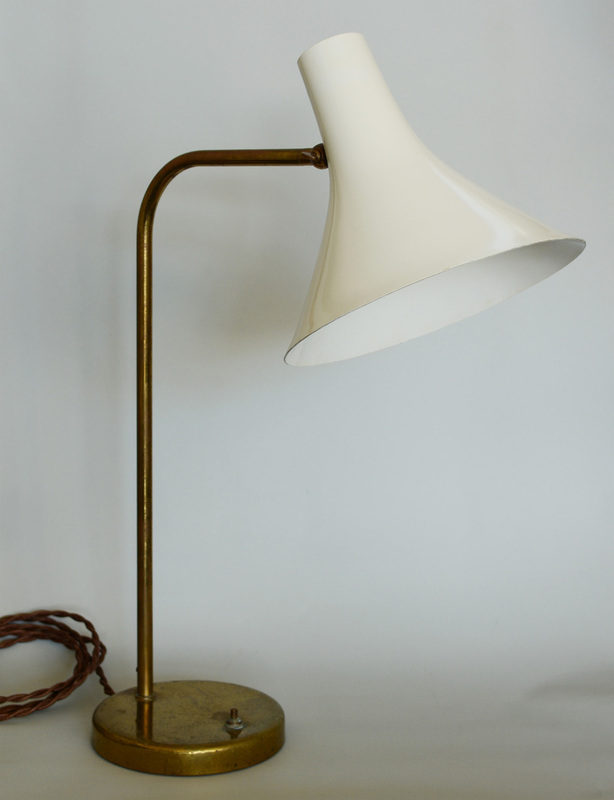 Brass and lacquer desk lamp by Nessen Studios. 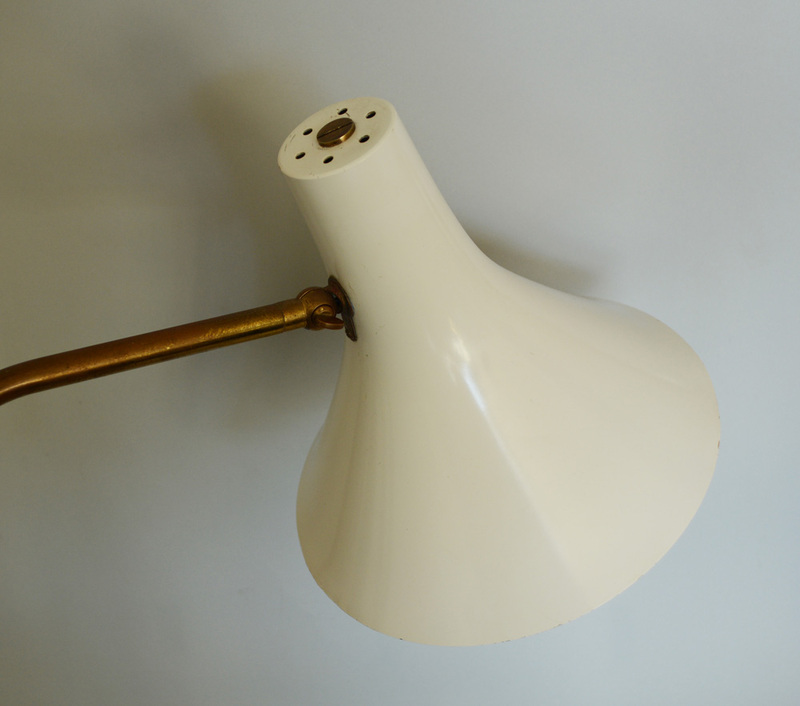 The shade tilts up and down and the column it is on rotates 180 degrees on the base. The shade has some minor scratches. 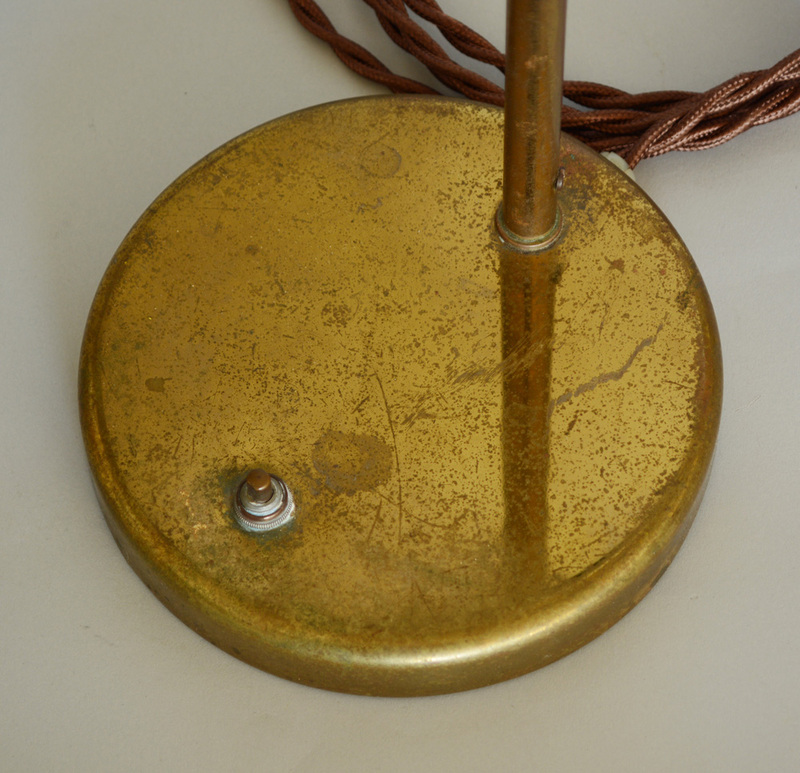 The brass shows wear and oxidation. H 20.5 in. 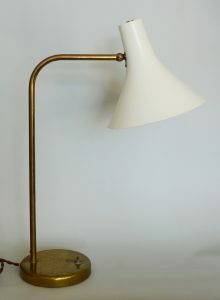 x W 14.5 in. 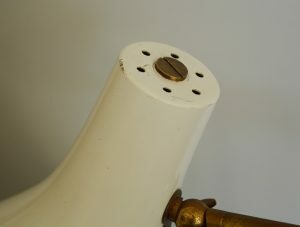 x D 8.5 in.